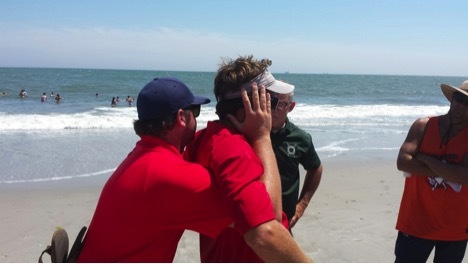 ﻿2015 Collaboative training held on August 3rd, 2015 in Strathmere. 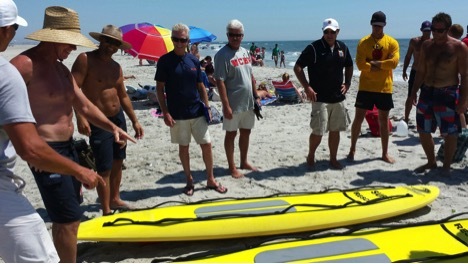 South Jersey Lifeguards prepare to train with rescue boards- Pictured are Chief Stocks of Wildwood, Sr. Lt Mox Bilkens and Sgt. Bob Clowry of Wildwood Crest, Lt Holland and of Sr. Guard Schall Ventnor, Sr Guard Chris Knipe of Cape May and Matt Milligan and Vinny BeRitis of North Wildwood. 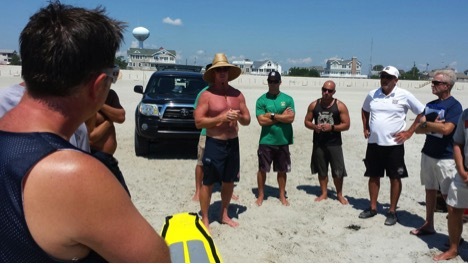 Lt. Tom Wyatt of Cape May adds input with Bilkens, Knipes, Holland, Dan Schall, Matt Milligan and Vinny BeRitis . 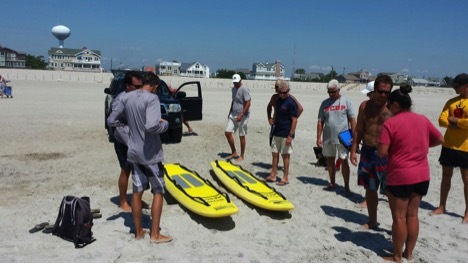 Chief Emig explains Brigantine’s paddleboard procedures to A. Lt. Sher and A. Lt. Tobasso of Longport, Capt. Schneider of Wildwood, Sgt. 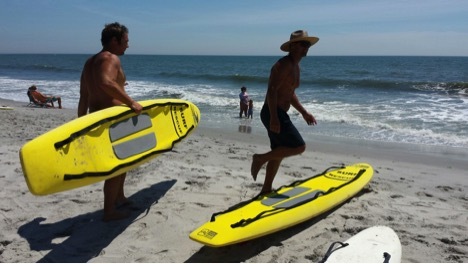 Clowry of Wildwood Crest and Capt. Handley of Upper Twp. 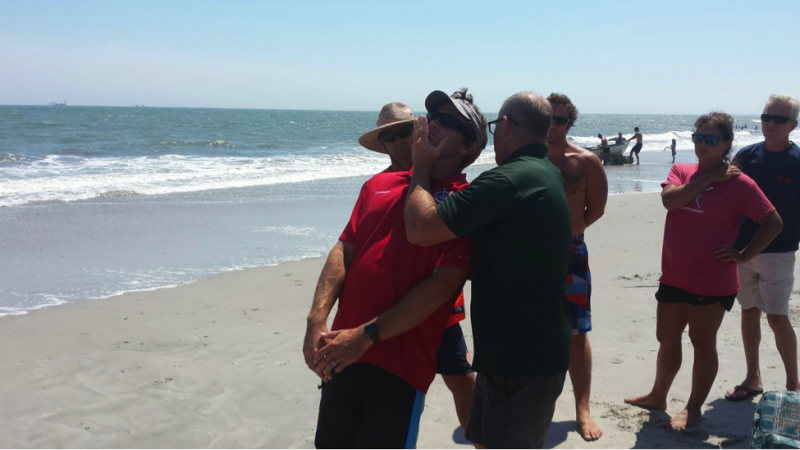 Lt Dave Stern of Sea Isle demonstrates the head chin support on Lt. O’Neil of Upper Twp. Sr. Lt Jameison of Ocean City demonstrates the Hawaiian technique with O’Neil of Upper Twp. 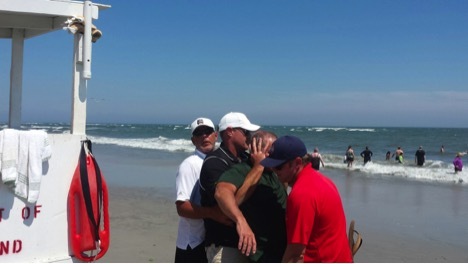 Capt Ed Schneider demonstrates how an extra rescuer could help break the surf while extricating a spinal injury along with Wyatt, Stern and Jameison. 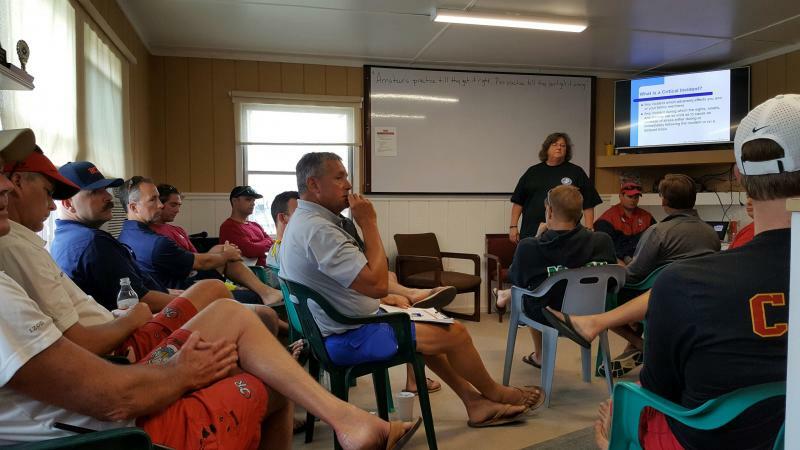 South Jersey Chiefs in a round table discussion with﻿ Cape Crisis Counseling on helping 1st reponders recover from traumatic experiences. 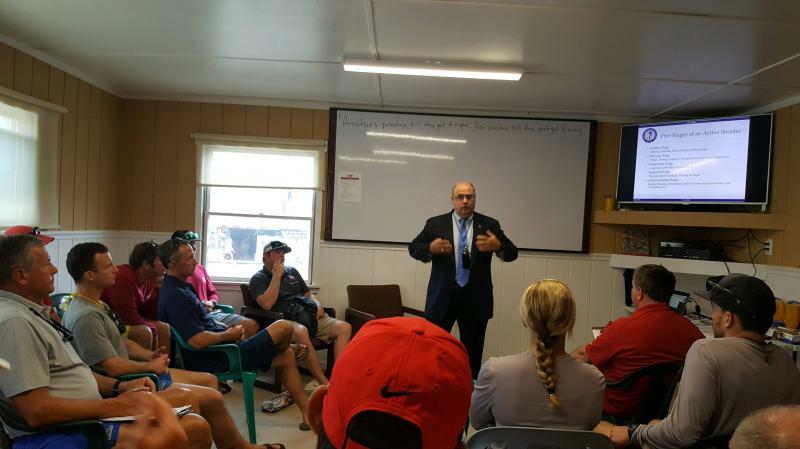 South Jersey Chiefs in a round table discussion with Homeland Security and County Prosecutors Office on Security at public beaches. 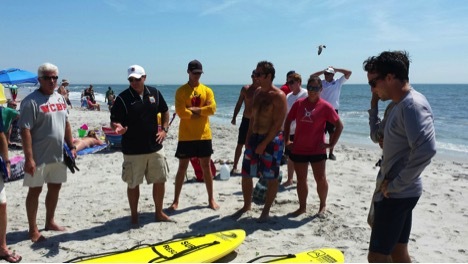 Copyright 2011 South Jersey Lifeguard Chiefs Association. All rights reserved.